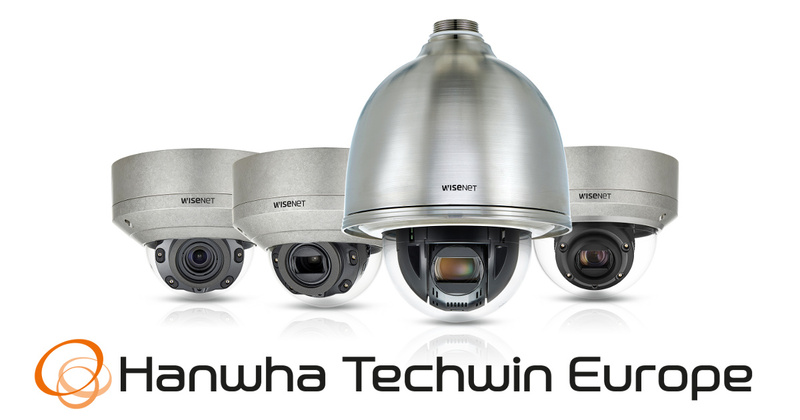 Hanwha Techwin has further expanded its Wisenet X IP CCTV camera series with the introduction of four news stainless-steel dome cameras. The dome cameras, which are highly resistant to corrosion and acid, are designed to be deployed in challenging industrial environments where chemicals are used, as well as for transport and off-shore applications. Constructed of SUS316L standard stainless-steel, the new domes share a long list of innovative features built into other cameras in the award-winning open platform Wisenet X series, which when it was released in 2017, redefined the standard for high definition cameras. Supercharged by the most powerful DSP chipset ever incorporated into a full camera range, Wisenet cameras are equipped with the world’s best 150dB Wide Dynamic Range (WDR) technology and the world’s best motorised varifocal F0.94 low light lens. Wisenet X cameras also feature H.265 compression and WiseStream II, a complementary compression technology which dynamically controls encoding, balancing quality and compression according to movement in the image. Bandwidth efficiency is improved by up to 99% compared to current H.264 technology when WiseStream II is combined with H.265 compression. This ensures that Hanwha Techwin’s new Wisenet X IP CCTV camera series is one of the most bandwidth friendly camera ranges available. Tagged Hanwha Techwin, Samsung. Bookmark the permalink.